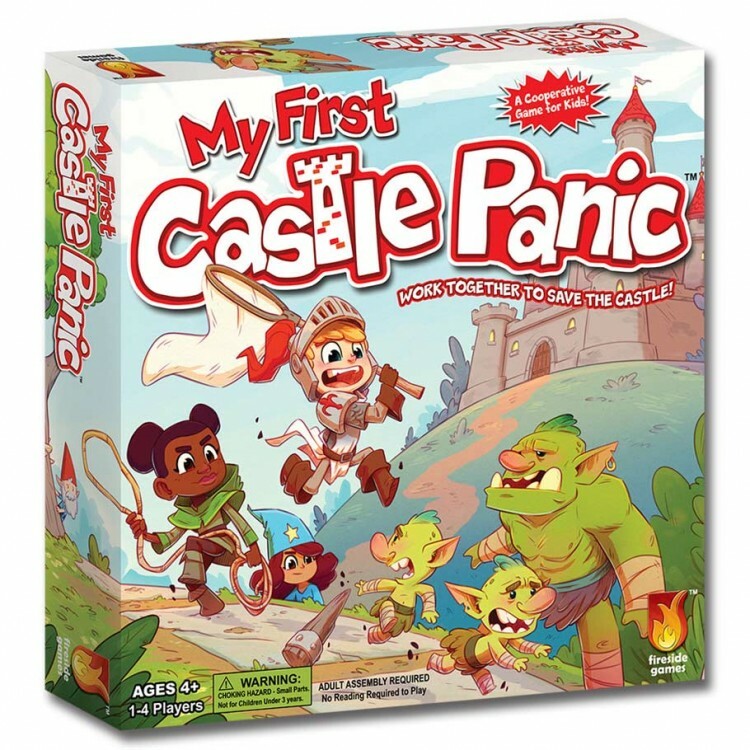 ACD Distribution Newsline: My First Castle Panic—New from Fireside Games! A group of monsters is racing out of the woods and coming right at your Castle! Players need to catch all the monsters before they smash the Castle flat. Send out your brave defenders to match the color and shape of the space where a monster is to catch it. But watch out! The monsters move closer to the Castle every turn, and more monsters keep coming!